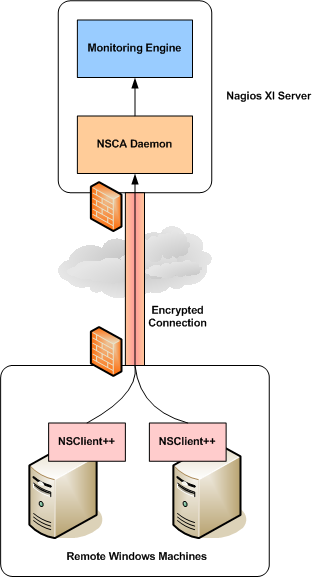 Jelle Smet has done a screencast on his NSCAweb addon for Nagios. Check it out! 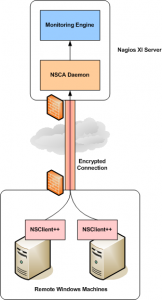 NSCAweb part 1: Introduction from Jelle Smet on Vimeo. Many of our clients are Managed Service Providers (MSPs). The challenges they face when monitoring their clients’ networks vary greatly, but a common problem they face is how to monitor remote Windows machines that are located behind a firewall. 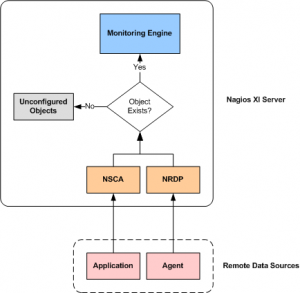 A simple solution to this challenge involves configuring the NSClient++ agent to act as a passive agent which reports it status to Nagios. We’ve written a document that describes the steps needed to configure passive monitoring of Windows boxes. Passive checks are extremely useful for integrating information from external applications and agents. They’re also the primary method of monitoring remote machines that are behind firewalls, proxies, and on private networks. 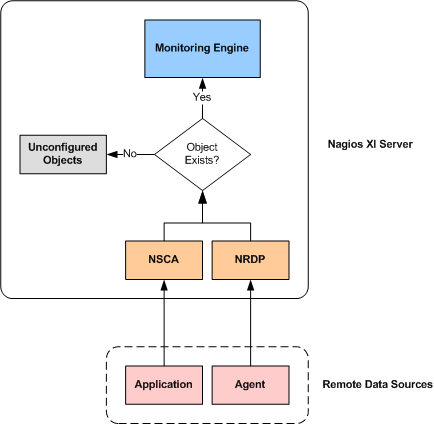 In an effort to simplify the setup of new remote agents and applications with Nagios XI, we developed a method for easily capturing and configuring new passive host and service check results. 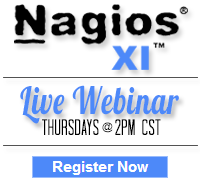 Category: Configuration, Nagios XI and Passive Checks. Closed Tags: passive, XI.